Local artist, Tessa D’Agostino, has taught therapeutic and expressive arts in the Cape Cod community for many years. She first established her independent and self designed program, Inside Art in 2007. Today, Inside Art has evolved into an inclusive arts and wellness program of The Spiral Stone Of Cape Cod. Through the Inside Art program Tessa not only offers therapeutic, expressive and studio arts classes at various organizations on Cape Cod, but she also offers artist mentoring , life coaching and healing arts services. The Art Program focuses heavily on the creative process and artistic/self-reflection. Through different means of expression such as painting, drawing, sculpture, collage and more. 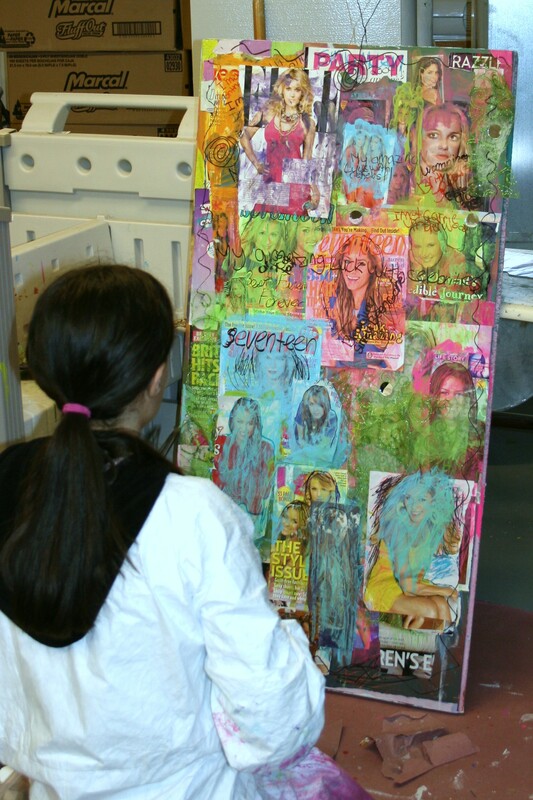 Students learn not only skills in studio practices but also in analyzing their artwork and in turn themselves. Tessa also offers studio arts skills in a variety of art mediums including private lessons. To view some of Tessa’s artwork please visit her artwork site here. Both the Artist Mentoring Program and Life Coaching Program are an important addition to the Inside Art mission. The Healing Arts portion of the Inside Art program is another important factor in overall wellness. Not only is Tessa a professional artist, instructor, mentor and life coach, she is also a level three certified Reiki Practitioner. Why seek professional services from Tessa D’Agostino? D’Agostino is known for her empathetic and healing nature and teaches individuals from all walks of life. She specializes working with young adults with developmental disabilities, individuals going through personal healing, as well as those suffering from illness. D’Agostino has a unique gift with her students and clients that cannot be denied. Through the Inside Art program she aims to expand the positive impact of self healing as she works with many organizations and individuals throughout the community. To inquire about Inside Art services please email your interests to makeinsideart@gmail.com.